Despite some abstraction most people who know Chanctonbury recognise this landscape. 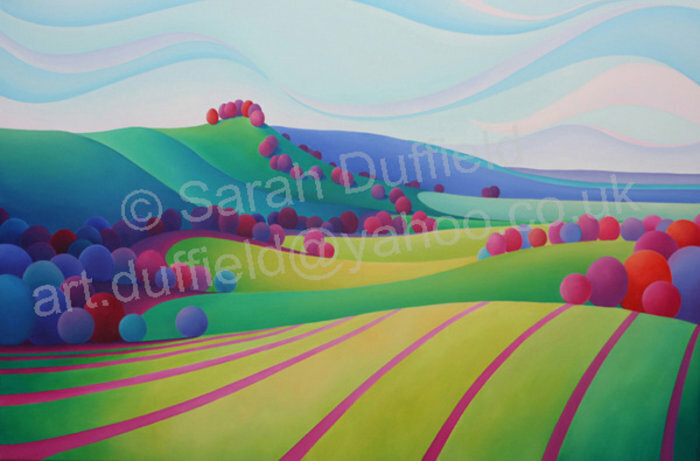 This image was commented on by a child once who described the trees as marbles rolling down the hills, it makes me smile every time I think of it. 47 x 32.6 cm including border. Greeting cards and mini prints can be found in my greeting card/mini print gallery costing just £3 and £25each.